Alexander Hamilton was a famous Politician from USA, who lived between January 11, 1755 and July 12, 1804. He became 49 years old. As one of the young republic's most brilliant lawyers, he was an influential delegate to the American constitutional convention and the leading author of "The Federalist Papers" that helped to influence skeptical neo-Yorkers to ratify the U.S. Constitution. As the first and most influential of America's finance ministers, he is also the foundation for a healthy U.S. economy. He established America's first bank, introduced the public credit, and laid the foundations of American capitalism by establishing stock and commodity markets. In order to defend their actions against criticism from Thomas Jefferson and James Madison Hamilton established America's first political party; Federalist Papers, which he dominated until his death after a duel with his political opponent Aaron Burr. 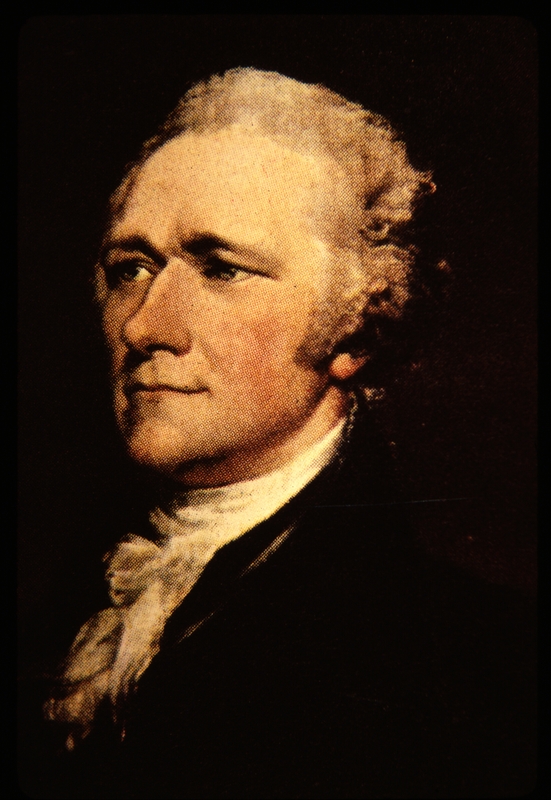 Alexander Hamilton is often seen as one of America's founders. He advocated the principles of a strong centralized federal government and the broad interpretation of the constitution that should characterize the republic's early phase. This was linked to his support for a strong defense, strong institutions for business, regulated capitalism and what would later be known as the "American system". This implied a focus on economic growth through proteksjonstoll, subsidies to industry and other measures which he recommended in his Report on Manufactures of the United States Congress. In this he stood against the laissez-faire capitalism, weak central government and free trade as the Democratic-Republican Party founded by Thomas Jefferson advocated. He is born under the zodiac capricorn, who is known for Determination, Dominance, Perservering, Practical, Willful. Our collection contains 28 quotes who is written / told by Alexander, under the main topic Education. "You should not have taken advantage of my sensibility to steal into my affections without my consent"
"Why has government been instituted at all? Because the passions of man will not conform to the dictates of reason and justice without constraint"
"When the sword is once drawn, the passions of men observe no bounds of moderation"
"There is a certain enthusiasm in liberty, that makes human nature rise above itself, in acts of bravery and heroism"
"The voice of the people has been said to be the voice of God; and, however generally this maxim has been quoted and believed, it is not true to fact. The people are turbulent and changing, they seldom judge or determine right"
"The sacred rights of mankind are not to be rummaged for among old parchments or musty records. They are written, as with a sunbeam, in the whole volume of human nature, by the hand of the divinity itself; and can never be erased"
"Real firmness is good for anything; strut is good for nothing"
"Power over a man's subsistence is power over his will"
"Nobody expects to trust his body overmuch after the age of fifty"
"Men often oppose a thing merely because they have had no agency in planning it, or because it may have been planned by those whom they dislike"
"Man is a reasoning rather than a reasonable animal"
"It's not tyranny we desire; it's a just, limited, federal government"
"It is the advertiser who provides the paper for the subscriber. It is not to be disputed, that the publisher of a newspaper in this country, without a very exhaustive advertising support, would receive less reward for his labor than the humblest mechanic"
"In the main it will be found that a power over a man's support (salary) is a power over his will"
"In the general course of human nature, A power over a man's subsistence amounts to a power over his will"
"In politics, as in religion, it is equally absurd to aim at making proselytes by fire and sword. Heresies in either can rarely be cured by persecution"
"In framing a government which is to be administered by men over men the great difficulty lies in this: You must first enable the government to control the governed, and in the next place, oblige it to control itself"
"I never expect to see a perfect work from an imperfect man"
"Here, sir, the people govern; here they act by their immediate representatives"
"Even to observe neutrality you must have a strong government"
"Constitutions should consist only of general provisions; the reason is that they must necessarily be permanent, and that they cannot calculate for the possible change of things"
"A well adjusted person is one who makes the same mistake twice without getting nervous"
"A promise must never be broken"
"A national debt, if it is not excessive, will be to us a national blessing"